A couple of weeks ago I was asked if I would like to review a product from Build A Sign. 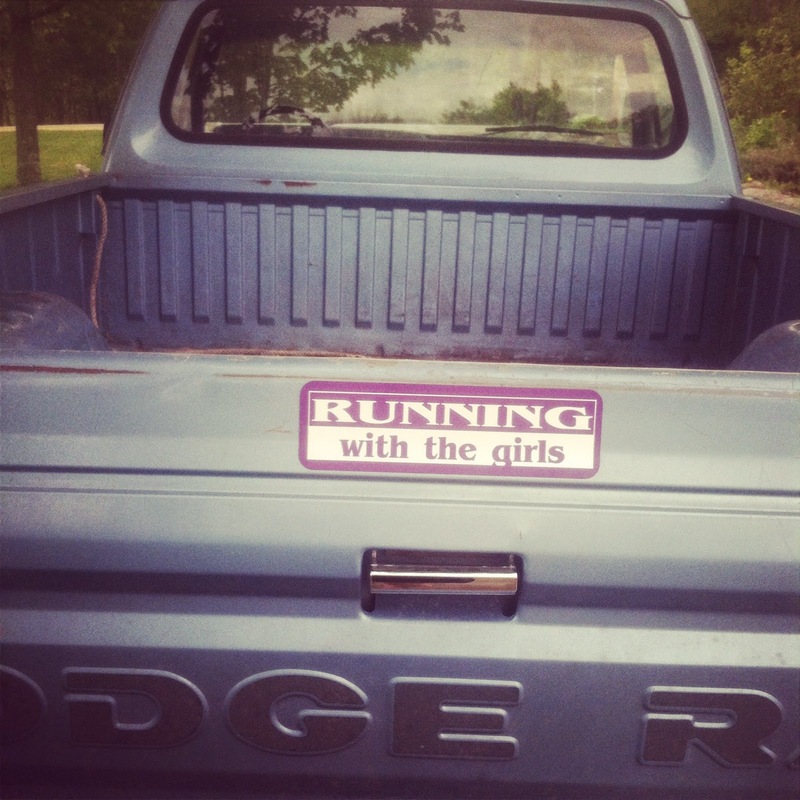 I've been wanting custom magnets for Running With The Girls for a while and then this opportunity arose and I jumped on it! It was very exciting to be able to design my own magnet. Through Build A Sign, the process was rather simple. You get the option to upload your own image or to browse through their templates and then put in your own creative twists. They come in the size of a standard bumper sticker 3in x 10in. and are very high quality. You get to choose from a variety of colors. Also, the more you order, the cheaper they are per magnet. 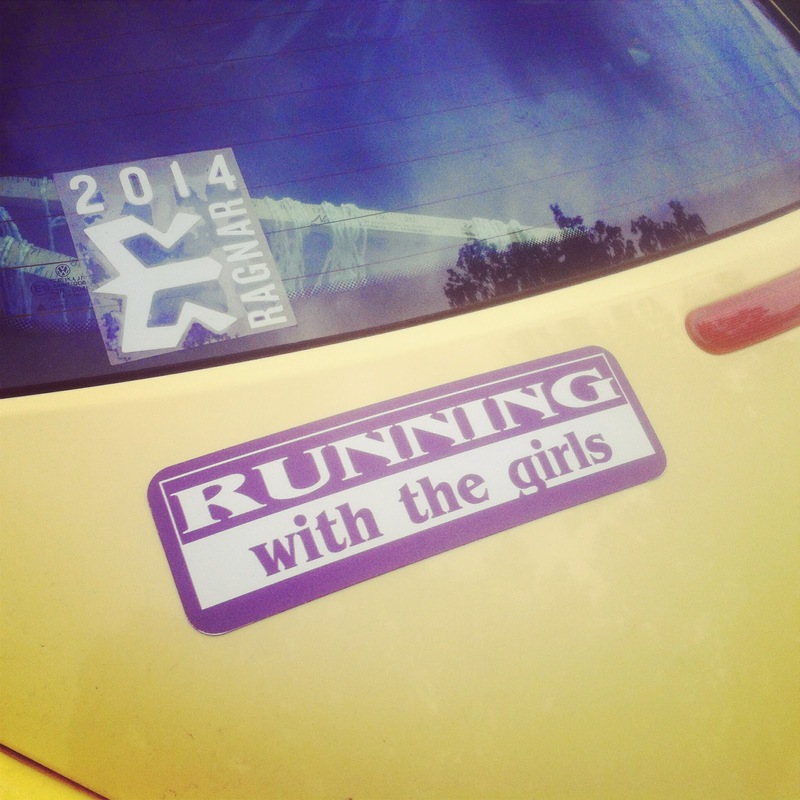 I've been having fun spreading the Running With The Girls love putting these on the vehicles of family and friends. Like my sister-in-law, when she came by to drop Izzy off. I even got Ward's old truck. 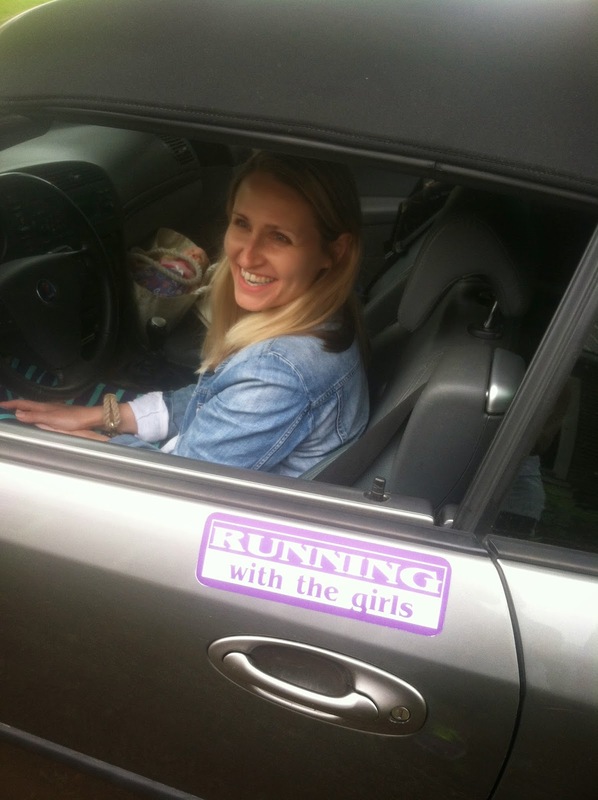 I have 4 more Running With The Girls bumper magnets to giveaway! Here's your chance to win one. Giveaway ends 6/16/14. I will announce the winners on the blog and email them.